Snapdragons make a cheery addition to beds and flower pots, and come in a wide range of colours. They need a sunny spot, and a well-drained soil with compost added. Avoid heavy and sodden soils, as the plants are prone to root rot in these conditions. 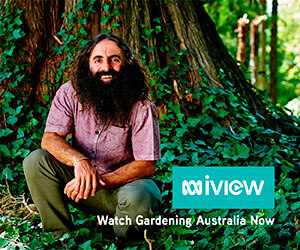 Instead, grow your ‘snappies’ in pots filled with premium potting mix. Plant in autumn and late winter/spring. They don’t mind cold but may not survive severe winters, so if that’s you, hold off planting until spring. Seeds germinate easily and seedlings are readily available if you want a quick start. Pinch out the top when seedlings reach 10cm, to encourage branching. Keep your snappies well watered and feed them with liquid fertiliser once a fortnight. Removing spent blooms will help to keep plants tidy and extend the flowering time. Old varieties have been known to get rust disease on their foliage, but this problem has largely been bred out of modern varieties. 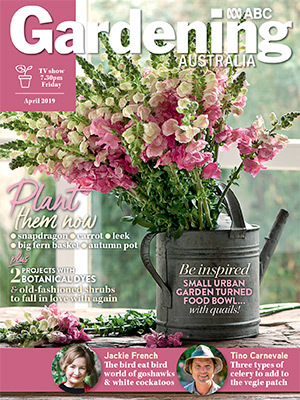 For more about snapdragons, including different categories, colours and forms, pick up a copy of the April issue, on sale now.